In 2007 we started seeking A2A2 dairy genetics, concluding the 10 year search, we established the Mini Rabbit Eye Jersey and the French Normande to our farm’s nutrient dense A2A2 artisan raw dairy program. 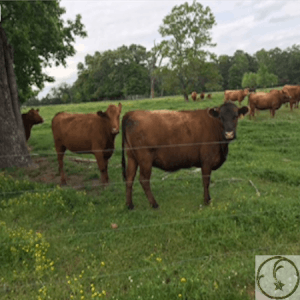 As our focus intensified on producing nutrient dense food, we added the Mid-sized Red Angus from what is touted to be one of the finest blood lines in the Red Angus world – no kidding! We offer these supreme quality genetics for your consideration. When you come to see us, you’ll see what we mean. 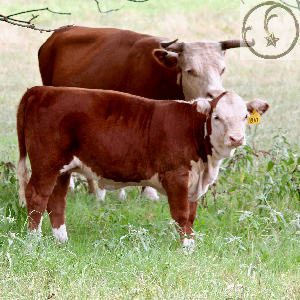 Tired of the big is better hype of high input breeding stock, our Heirloom mid size Hereford (and mini Hereford cattle) are proven producers of supreme quality beef and show stock. This French Intern illustrates the docile nature of our A2A2 dairy cattle – mini Jersey and mid Size French Normande. 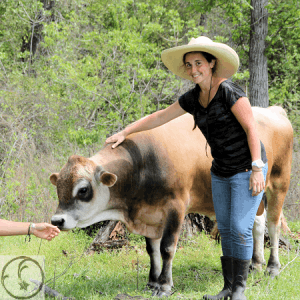 We have been developing this herd of Heirloom dairy cattle for over a decade now. Tax Advantage Farming with Mini Hereford Cattle are our Stock and Trade – please come see us, share our hospitality.